Coyo, for short, is one of the southern delegaciónes that comprise today’s Distrito Federal. 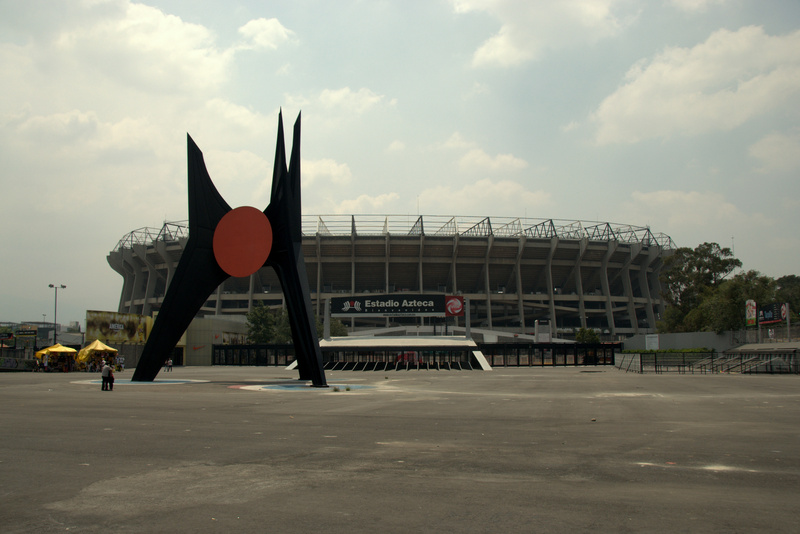 Coyo isn’t as densely populated as Cuauhtémoc, Iztapalalpa, or Benito Juárez districts, but it covers a large swath of acreage that includes the Estadio Azteca (Aztec Stadium) of Club América soccer renown, which has a seating capacity of 95,000 and which hosted two FIFA World Cups! The beating heart and soul of Coyo, however, is its enchanting, stuck-in-a-time-machine corridor of colonial buildings, cobblestone squares, and tree-lined streets that Frida Kahlo and Diego Rivera once called home. Plaza Jardin Hidalgo, immediately to the west, features the lovely, 14th century Parroquia San Juan Bautista (Parish Church of St. John the Baptist), which features peaceful cloisters and a frescoed chapel so beautiful that it feels like a proper cathedral. The exterior façade is quite romantic after dark, and beckons to be photographed. Organ grinders often set up shop along one side of the church, while a small alley to the right of the church entrance leads to one of my favorite watering holes, El Mesón del Buen Tunar. (Try the cerveza con vino. Trust me on this.) 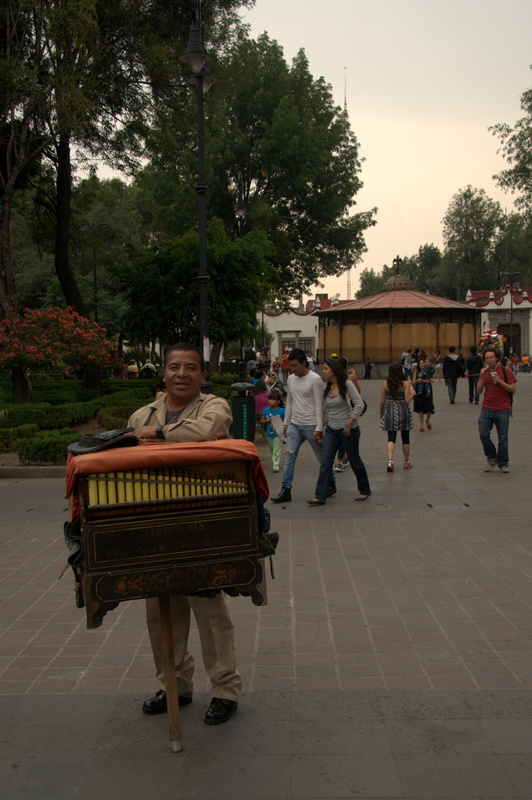 A large kiosk on the north side of the plaza hosts live music performances many weekend days, and the kiosk, in turn, fronts the government building for Coyo delegación. The narrow streets to the east and north of here usually contain a steady stream of vehicular traffic, but the storefronts on both sides feature no shortage of cantinas and cheap eateries. I particularly love the take-out rotisserie grill that is directly across the street from Plaza Jardin Hidalgo, and can think of less pleasant ways to pass the time than buying un cuarto de pollo and taking a seat on one of the plaza’s many wrought iron park benches while Mexican life unfolds before me. The busy one-way street that comprises the east end of Plaza Jardin Hidalgo is called Allende, and is named after former independence hero Ignacio Allende. Though born in Guanajuato State, four hours to the north of Mexico City, Allende was actually a captain in the Spanish Army. He grew to sympathize with organizers of the independence movement and eventually fought alongside them, an act of treason that cost him his life. But I digress. 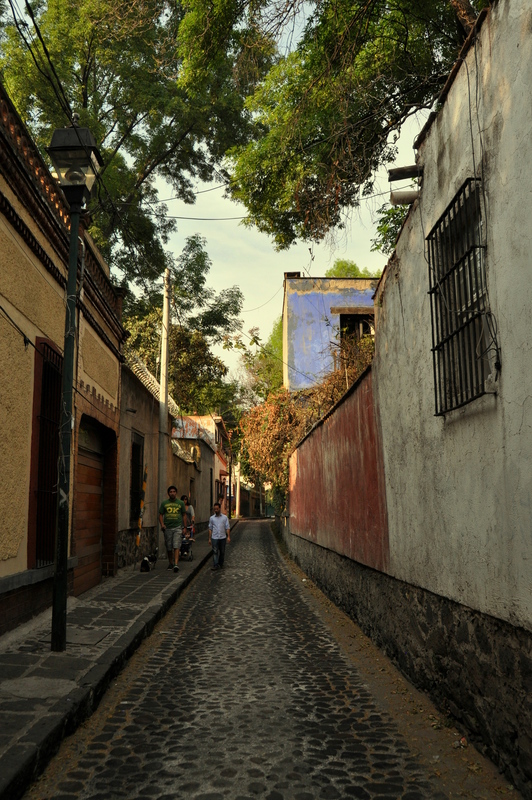 Allende is one of my favorite streets in all of DF. I always end a visit to Coyo by strolling one block north of the plaza to the main branch of the aforementioned Café el Jarocho for a “nightcap” of café tibia, and perhaps some churros from a vendor who also sets up shop in front of the coffee shop. The line typically extends halfway down the block, but it moves quickly. I have mentioned in previous posts about the proliferation of markets in every Mexico City neighborhood, and Coyo is no exception. 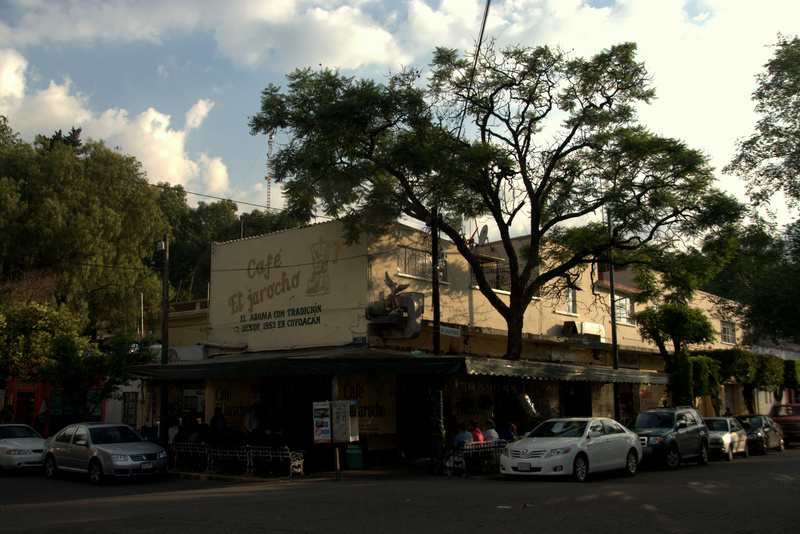 Allende plays host to the barrio’s block-square food market, and this place is always hopping. A small park across the street hosts an annual Christmas tree lot each December. Avenida Allende ends one block before reaching busy Río Churobusco, but before it does, it leads you into the heart of Frida-and-Diego territory. 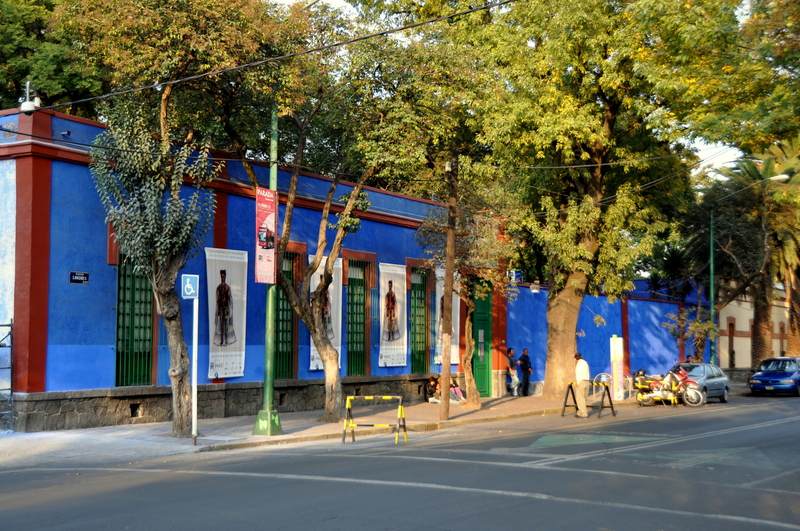 Casa Azul, the “Blue House” in which Frida was born and died, is located at the corner of Allende and Londres. You can’t miss it; Coyoacán tourist trolleys stop here several times a day. As much a fan as I am of the art of Frida and Diego, I find Casa Azul to be somewhat overrated. Admission is expensive and does not include a photo pass, and there is little of Frida’s art on display inside. A much better investment of time and money can be spent visiting the nearby residence and studio of Leon Trotsky, the Russian revolutionary who fled to Mexico after his campaign against Joseph Stalin made him an enemy of the State. Trotsky, who found friendship with his left-wing Mexican comrades Frida and Diego (and a brief romantic dalliance with Frida herself), settled in a lovely walled “compound” along nearby Río Churobusco until his murder in 1940, by a Spanish-born Soviet assassin who infiltrated the Trotsky household by befriending Trotsky’s secretary. 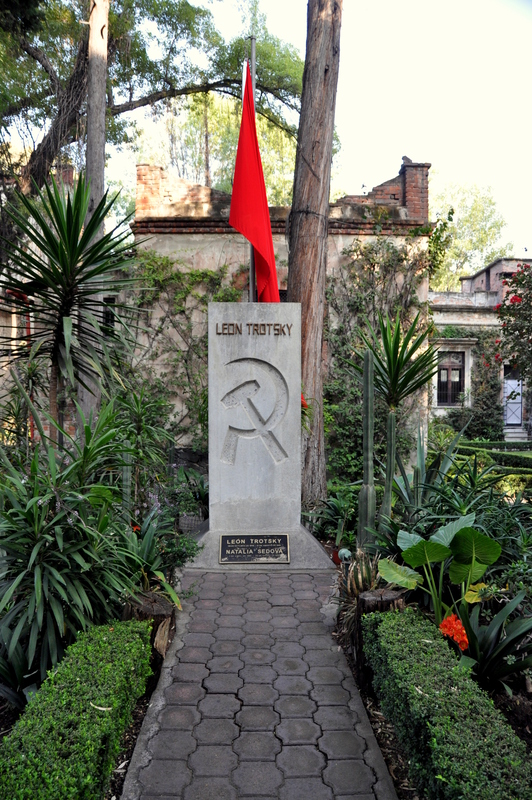 A visit to the Museo Casa de León Trotsky includes a look at Trotsky’s grave, and you can still see bullet holes in the walls from previous assassination attempts. 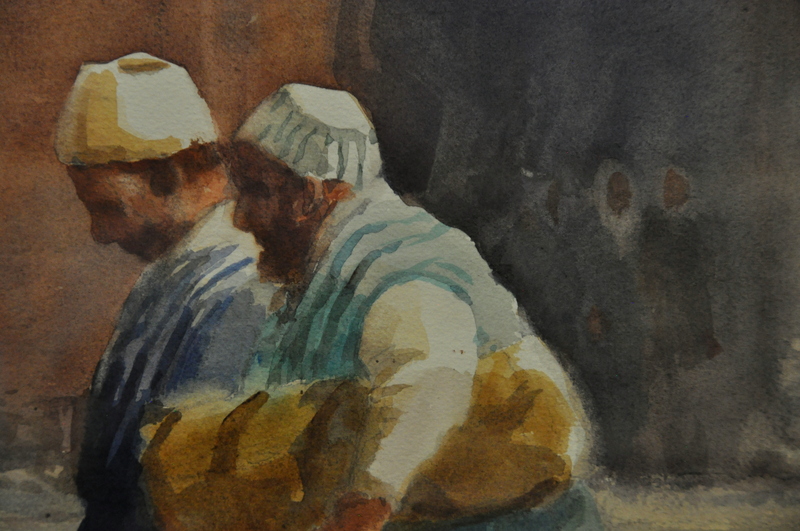 Speaking of art, Coyo is rife with galleries and small museums. 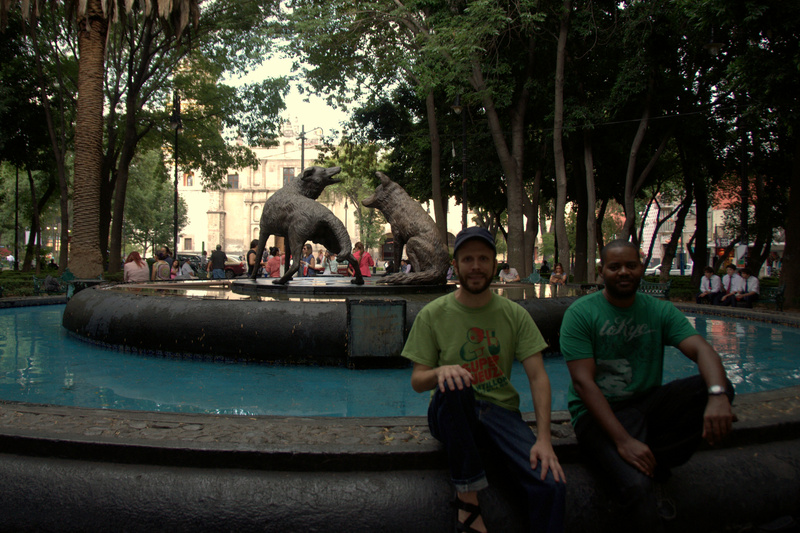 Some, including the Casa de la Cultura near lovely Plaza Santa Catarina, have free admission. Others, such as the Museo Nacional de la Acuarela, are a bit off the beaten path and all the more worth seeking out as a result. I alighted at Metro Viveros one Sunday afternoon, and bypassed popular Viveros, which fronts the metro station, in favor of a stroll down western Coyo’s quiet residential streets. High walls suggested that this was an area of old money, and I was quite surprised to stumble upon the National Watercolor (Acuarela) Museum. Some of the art on display was rather whimsical in nature, while other pieces were more ethereal. I mentioned “Viveros” in the previous paragraph. 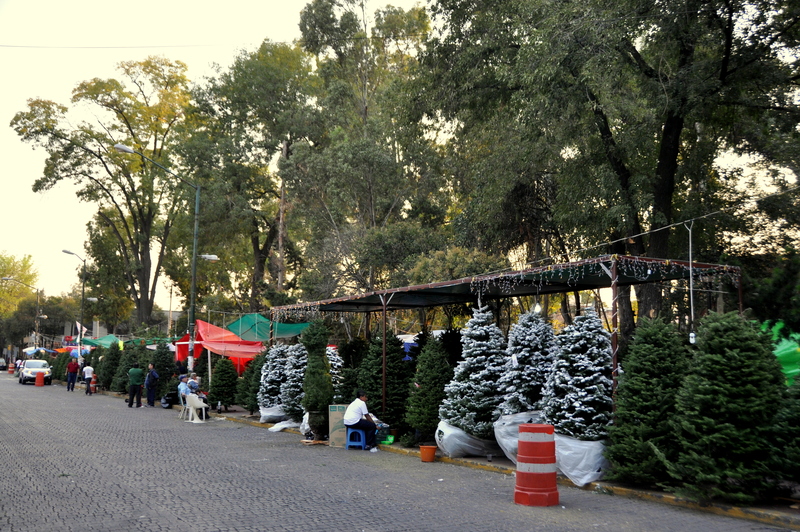 Viveros de Coyoacán is the green lung of Coyo and of neighboring Álvaro Obregón. Technically, Viveros is a tree nursery, but it also functions as a jogger’s paradise. Roughly one mile of wide, level trails traverse the grounds, and much of that mile is under the shade of conifers and other árboles that flourish at 7,300 feet elevation. 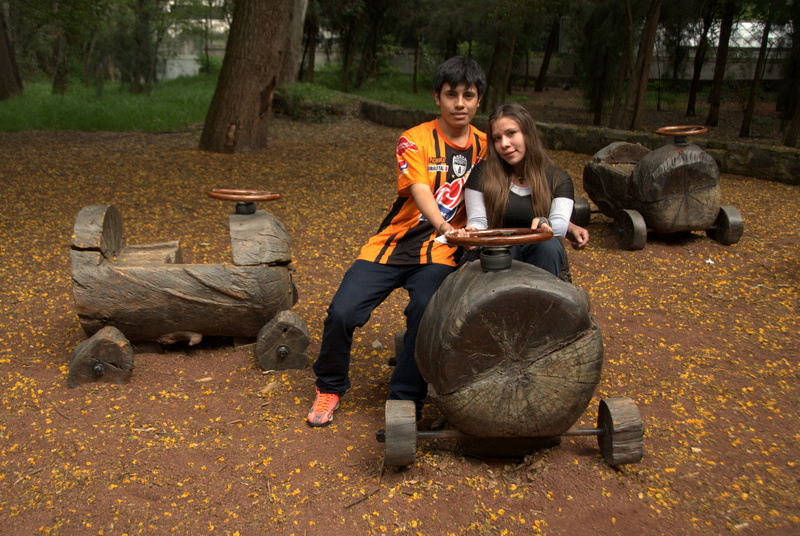 It is at Viveros that I met Hainy, a wide-eyed local student, pictured below with her boyfriend. Hainy is just one of many amiable Coyo denizens. She joins a list that includes some of my former students, my ex-girlfriend Verónica, her mom (also named Verónica), and others – all of whom help make Coyoacán the friendliest, most all-around wonderful neighborhood in Mexico City. ¡Viva! 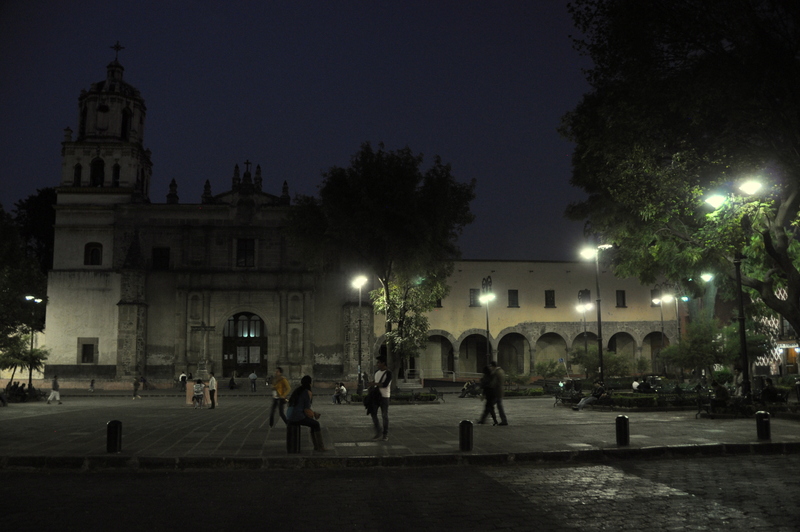 I enjoyed reading your post, since Coyoacan is one of my favorite parts of Mexico City too. 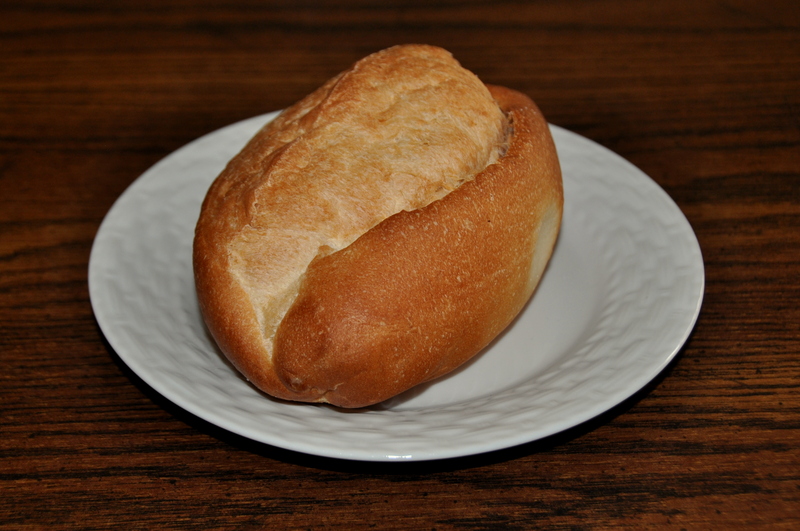 I must admit that I have never eaten or even heard of “guajalotas”. They sound delicious! I’ll have to keep an eye open for them the next time I am there. Guajalotas are delicious, but most street vendors usually sell out by 9 am.